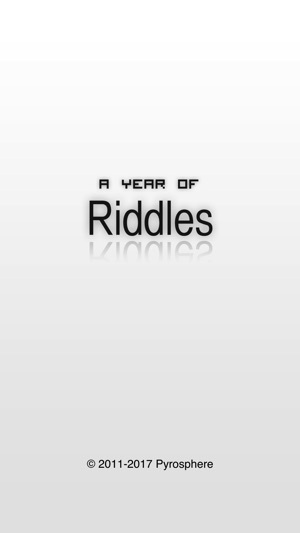 A Year of Riddles gives you hundreds of classic riddles to solve. This game has one riddle for each day of the year. All of them are accessible right away, for you to play at your own rhythm. 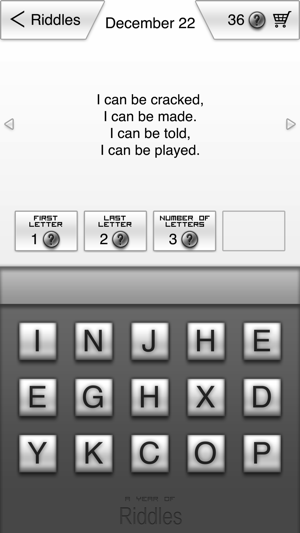 Write the solution from the 15 letters available. As soon as the correct solution is entered, the riddle is solved. If you get stuck, the hint system will help you. Get the first letter of the solution (1 point); the last letter (2 points); the number of letters (3 points); and after these the solution (4 points). 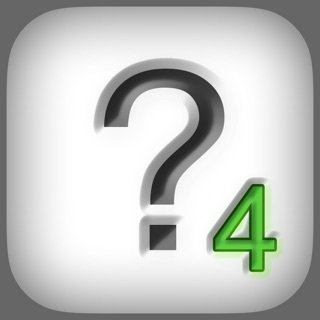 You start with 40 points, get 2 more for every riddle solved, and you can also purchase more points. 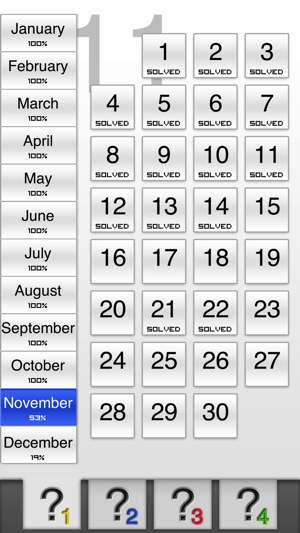 Solve every riddle in A Year of Riddles! Many of these riddles are excellent but a substantial percentage appear to have been written by someone who speaks English as a second language or were written by someone who does not quite grasp the point of riddles. The object of a riddle is to provide RELEVANT information about the solution. Tricky word uses are great as are clues that don't have an obvious connection to the solution. 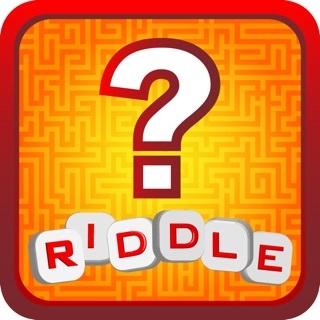 However if the provided information has no connection with the riddle it isn't really a brain teaser - it's a guessing game. Guessing games and riddles are quite different. My recommendation is to look back over the clues and solutions. Any riddles with clues that aren't relevant need to be revised or replaced. 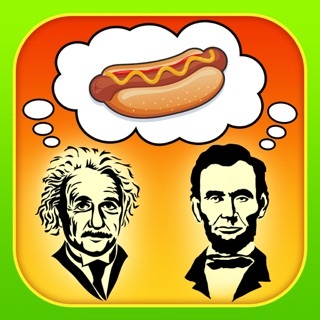 A great app. I played through the whole thing when I was 6 years old before deleting and forgetting about it(Of course I solved only like 15 percent of the riddles) and I had a lot of fun. 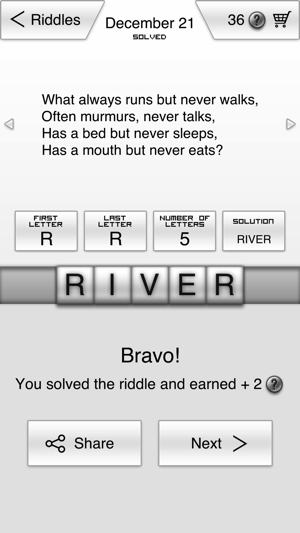 I'm 13 now and I downloaded it on my phone and starting over, the riddles still entertain me greatly. A great app and I wish I had the money the pay for number 2,3, and 4 of the app. 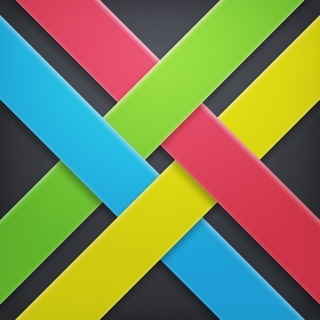 I just finished solving all the riddles with a balance of 732 points!! My sister introduced this app to me in November and I played it in my spare time. A few times I accidentally hit clues when changing the letters around. I wonder who has the highest points! 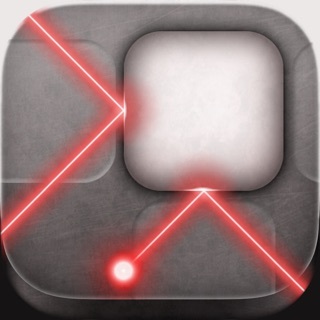 A really fun app that makes you look outside the box. Love it! !